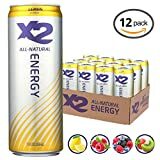 Pure Kick Energy Drink is made by adding a sachet of Pure Kick Energy Mix to 20-24 fl.oz. of water. Pure Kick contains no artificial flavors or colors and derives its 200mg of caffeine from coffee beans. Unflavored- This is to be mixed with juice or the flavored beverage of your choice. Besides caffeine Pure Kick Energy Drink also adds amino acids and B vitamins to their "Enduro" energy blend. 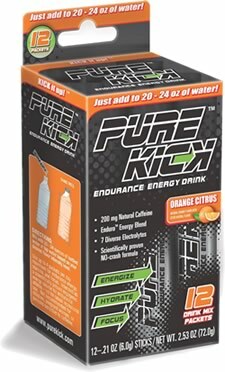 Pure Kick is available in 4 or 12 count boxes and retails for as low as $.21 per packet. Sugar content: 3 grams (per 20 ounces). 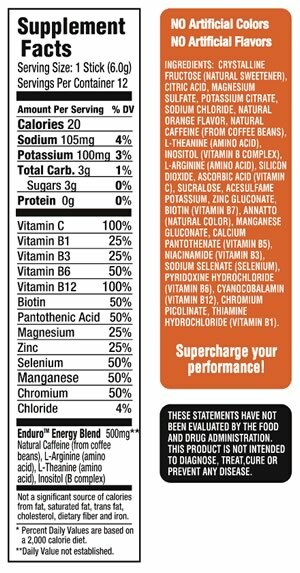 How Does Pure Kick Energy Drink Compare? Pure Kick Energy Drink contains 10.00 mgs of caffeine per fluid ounce (33.81mg/100 ml).